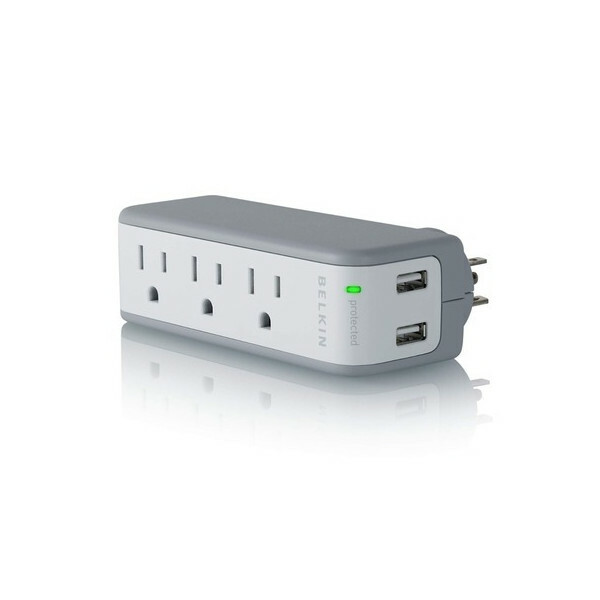 Acts as a power strip, allowing three AC devices to plug into a single wall outlet. Rated to handle 918 Joules and provides protection against power surges and spikes. Features AC outlets, USB outlets, and a unique rotating plug design that works in tight spaces.